Nokia's Lumia 920 is a pretty great device, a supreme example of engineering expertise. Looking at it is like peering at a beautiful car, a perfectly detailed specimen of components and glass. But holding it, using it, and carrying it is a completely different story. As far as smartphones go, the Lumia 920, for all its pizzaz and dazzle, is heavy. For the Moms and Pops looking for a cheapo Windows Phone 8 handset, that could be a huge turnoff. At 185 grams (6.5 ounces), the Lumia 920 is a tank sitting among a parking lot of smart cars. It is by no means unbearable, but it's the first thing you notice, and never does that thought disappear. We ran a little experiment at the TechnoBuffalo offices, gauging people's instant reaction of the phone when blindfolded, and it was always, "This is heavy," or some similarly appalled remark. You can't ignore it. Consider its biggest rival, the HTC Windows Phone 8X, which weighs in at a willowy 130 grams (4.59 ounces). It might not seem like that big of a difference for those who know a lot about the two devices. Nokia's Lumia 920 offers a glut of wonderful software enhancements, and its PureView camera tech has been lauded up and down the Web. But for the average, uninformed consumer standing in an AT&T store, holding the two devices in their hands, I guarantee a lot of them will be hung up on the 920's weight. The device overall is solid and dense — it isn't designed to be suffocated by a case. But its sharp corners and thickness only add to the irrefutable feeling of heft; I can see someone legitimately wielding this as a weapon. Manufacturers this year have pampered us with impossibly thin and light smartphones, and I just don't understand why Nokia couldn't shave off some of the Lumia 920's mass and width. 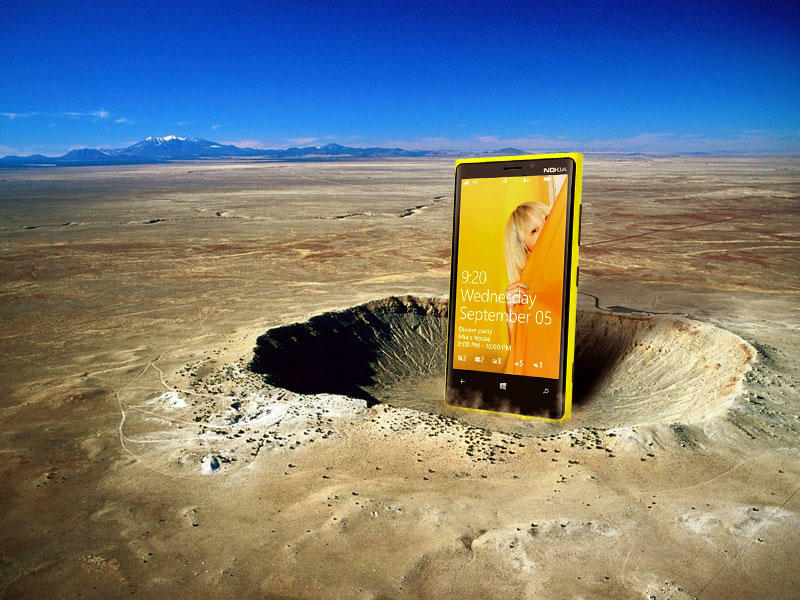 This isn't to say the Lumia 920 is a bad device — far from it, as we say in our review. In fact, TechnoBuffalo's Todd Haselton had no problems with the device's weight at all. But it can leave a bitter taste in one's mouth, no matter how nice the device is to look at, and how great the software is. Our entire Southern California office — Jon, Roy, myself, and Ralph — can all agree that the 920's heft leaves a lot to be desired. But you know, if weight is the biggest criticism you can levy against Nokia's new flagship device, then I'd say the handset is doing pretty well for itself. Here, then, are a few devices compared to the 920. For good measure, and posterity's sake.